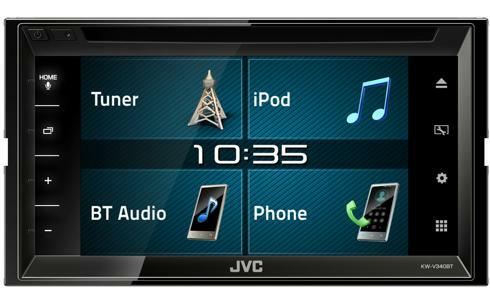 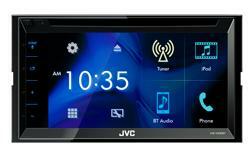 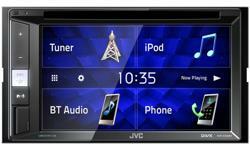 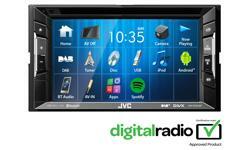 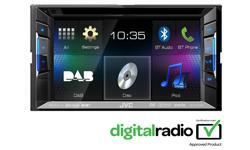 KW-V340BT 2-DIN AV Receiver • JVC U.K.
A 6.2" Clear resistive touch screen controls a multitude of features including Bluetooth hands-free calling, ready for music streaming from spotify. 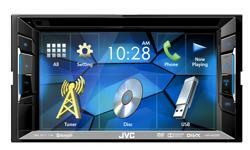 It also features rear USB and high current 1.5A charging for your smartphone. 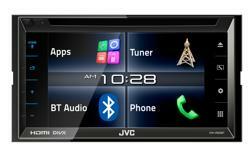 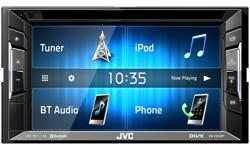 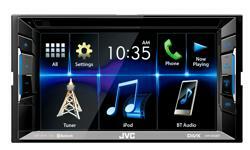 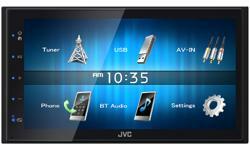 If you’re looking to start building a sound system, the JVC KW-V340BT is an ideal first step. 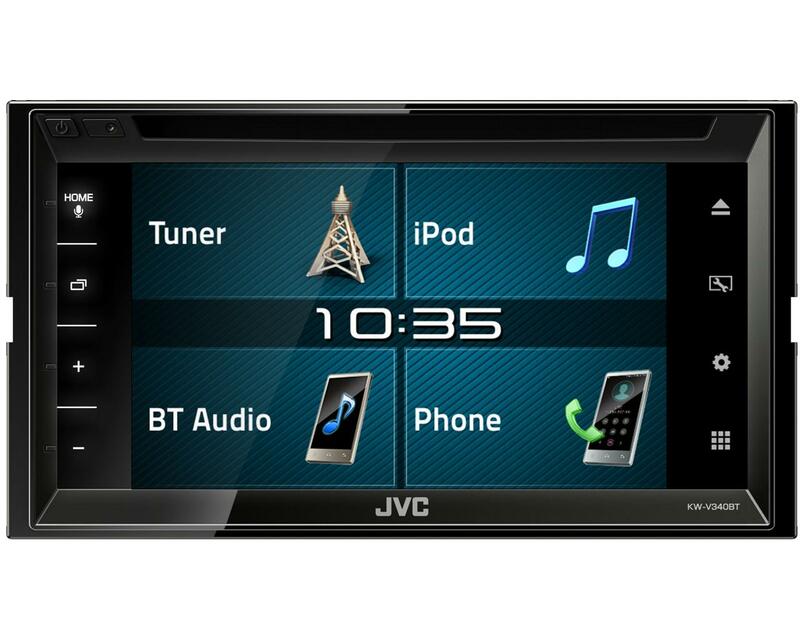 It comes with 3 RCA outputs, perfect for installing extra optional amplifiers and speakers to construct the system of your dreams!